Home Predegree and Pre-ND/NCE Updates 2018/2019 EKSU Pre-Degree Form is Out: Procedures, Price and Closing Date. 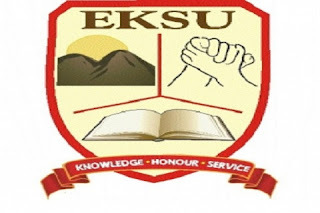 2018/2019 EKSU Pre-Degree Form is Out: Procedures, Price and Closing Date. This is to inform the general public, parents, sponsors and interested admission seekers that the Ekiti State University(EKSU) one-year preliminary course admission form is now on sales. All eligible candidates can now obtain the PD form online following the guide below. Pre-Degree programme is a one-year course which will lead to offering you 100 level admission to your desired course by the same university. All predegree candidates are equally expected to obtain JAMB UTME for the admission year and have the required cut off mark by the university before he or she can be given admission to the proposed course. Applicants must be holders of SSCE - NECO, WAEC, NABTEB. Such results must have at least 5 credit passes in subjects relevant to their proposed courses at 100 level. Fill all you bio-data including your email, phone number, and password. Log in again with your email and the password created. Note that the university doesn't accept payment to any bank account. All payment is strictly online through ATM card. Click Back My Payment Menu Click on My Receipt Click Print you will see your receipt number. To know if you have been offered admission, visit status checking page.